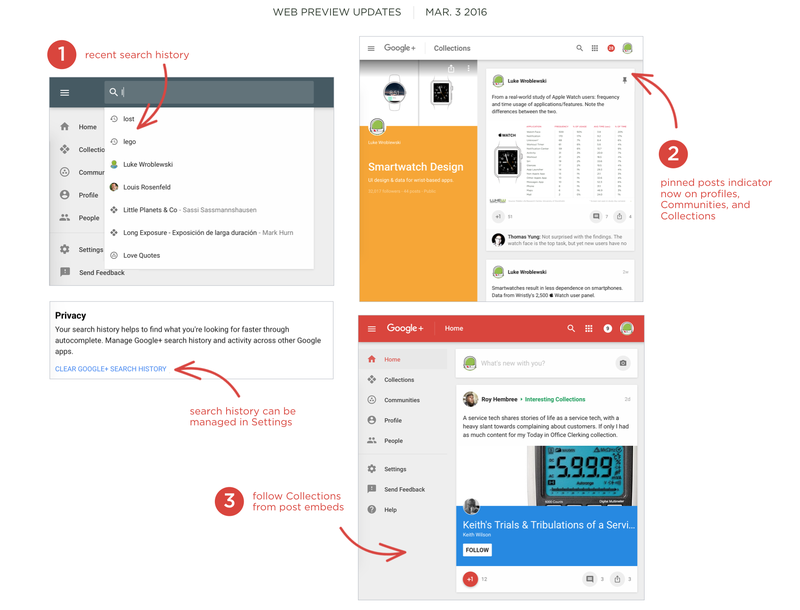 Googler Luke Wroblewski has again shared the latest changelog. This time we see recent searches appearing in the list of suggestions. You can clear your searches by looking under the privacy area of settings. A pinned post indicator now appears on collections, communities, and profiles. A previous update let you stick posts at the top of profiles, but you can now pin posts in all three. As for collections in particular, you can now follow them from post embeds. These changes are joined by a bunch of bug fixes.